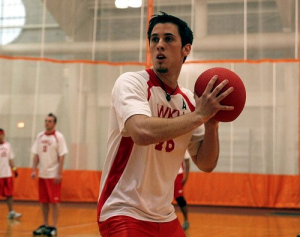 Months ago Kevin asked me write up a brief article answering the question, ‘why dodgeball matters to me and how it has impacted my life.’ Truth be told, I’m not one to actually think about “what could have been” or “what matters to me”; it’s just not in me. 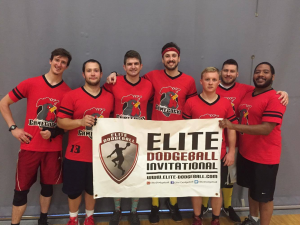 Dodgeball, however, has been the driving factor that has led me to numerous opportunities in both my professional and personal life. 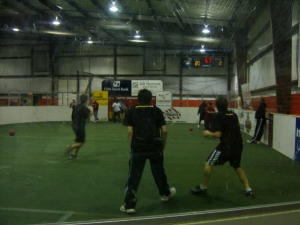 My dodgeball experience began at the ripe age of fourteen in 2004. I played in a weekly 6v6 recreational league all through high school. What started out as a rec league quickly became very competitive for those who were involved. 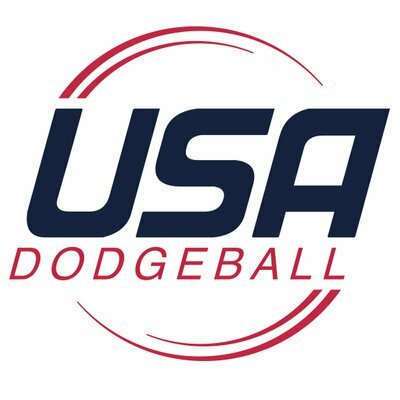 I started playing dodgeball because it was the same night as my church’s youth group, and if I played dodgeball, I didn’t have to attend. So every Sunday night, my dad would drive five friends and me the 30 minutes to the MetroSport Center in Evansville, Indiana so we, The Henderson Flash, could get our child asses handed to us by the actual adults who played in this league. This league played with two 8.5” fully inflated rubber balls, and four stingers (5” rubber balls) in a children’s indoor soccer field. The other teams consisted of various baseball players from around the tri-state area who actually played sports where a ball is thrown. My team of kids had two wrestlers, two football players, one cross country runner, and me (soccer). We spent every Sunday night for four years playing in this league, and maybe only winning a handful of games. We had fun though and I knew going into college I wanted to continue playing in some capacity. During the 2008 freshman recruitment fair for all of the student organizations on campus at Western Kentucky University I spotted the dodgeball booth, which was a relief to me because it saved me from having to start the club myself. I showed up to the first practice and fell in love instantly. I didn’t know anything about pinching, intercollegiate competition, or this strange 15v15 format, but it just seemed right. I was a very shy kid in high school, those five guys on my dodgeball team where pretty much my only friends. People made me nervous, I could not talk to girls, and I never raised my voice above a mumbling whisper. I was content, but wanted more. Josh Raymer took me under his wing because he said he could tell I was going to be very dedicated to this program. Each week I became more comfortable with the 30 or so people that would show up to practice. I would be given responsibility to lead certain aspects of practice, and I was started to come out of my shell. 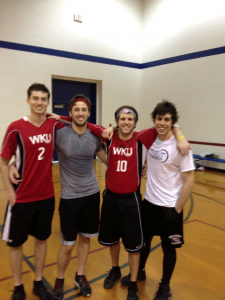 Between the WKU Dodgeball Club and my amazing public speaking professor, I was a different person after that first semester of college. Dodgeball gave me the confidence to lead, and the communication class gave me the tools to do so. 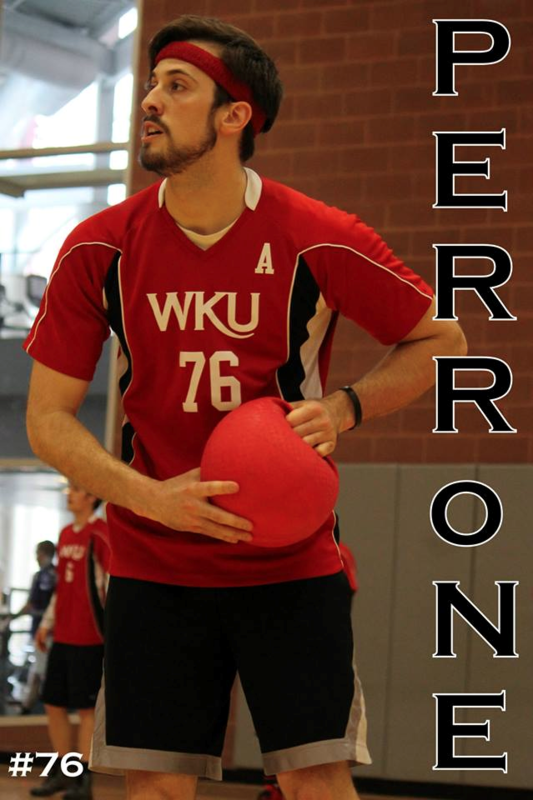 Fast forward two years, I am now a junior and have taken the role as President/Captain of the WKU Dodgeball Club; I have also changed my major from Computer Science to Corporate and Organizational Communication with the intent to further legitimize the NCDA. I saw the potential early on with the NCDA and wanted to be sure I had a decent understanding of communication and organization to help this league grow. After successfully organizing and hosting Nationals 2011 at WKU, with only help from then-recent graduate Josh Raymer, I knew I was making the correct decision academically. The event planning skills I picked up from hosting this large event helped me land a great summer internship in Washington, DC that focused on tour scheduling and marketing for a lot of my favorite bands at the time. I decided graduate school was the best move for my academic career. I would most certainly be lying if I didn’t say dodgeball was a contributing factor to my decision to continue my education, but my research was very important to me. My area of focus was religious identity and faith development in college students, but I also did extensive research on social issues and how they affect power dynamics in competitive athletics. I attempted to keep some separation between my studies and dodgeball in an attempt to keep some level of sanity. 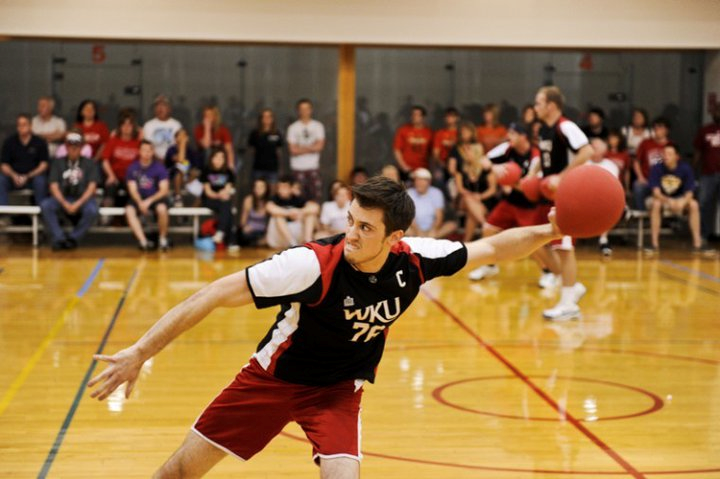 During this time I was acting as the alternate captain and advisor for WKU’s dodgeball club as well as the Treasurer for the NCDA. On February 1st, 2014 WKU traveled up to Kent State to play in our first tournament at that location. I always wanted to visit Kent because of all the friends I’d made over the years from there, so this was a check off my list for sure. At the notorious Kent after-party, I met the woman who is now my fiancé. I moved up to Columbus, OH after graduation to be closer to my then-girlfriend, which allowed me to act as a coach for Ohio State University’s dodgeball team. I also have a great job because of this move to Ohio’s capital. 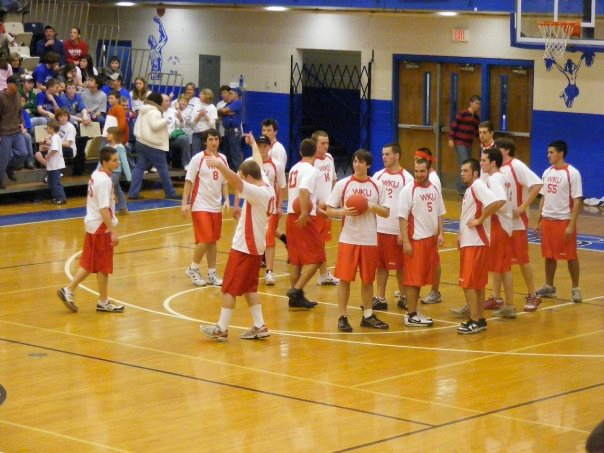 Dodgeball has always been an icebreaker on my resume. Employers would be drawn to it because it is typically something out of the ordinary from what they’re used to seeing. They will chuckle and say something to the effect of “okay, tell me about this”. Dodgeball has taught leadership, communication skills, confidence, problem solving, organization, budgeting, and dedication. These are all things that employers look for in their employees, there is no way having dodgeball on your resume is a negative thing, as long as you can spin it the right way. This is my biggest piece of advice for current NCDA players who are looking to enter the workforce soon, take advantage of your unusual hobby when applying for jobs. Also, be prepared for the relentless movie quotes during your first couple of months, because they are inevitable and there’s nothing you can do to fight it. Currently, I am serving as the President of the NCDA, I am a coach for Ohio State’s team, and I am playing in Elite for the Columbus Gamecocks. 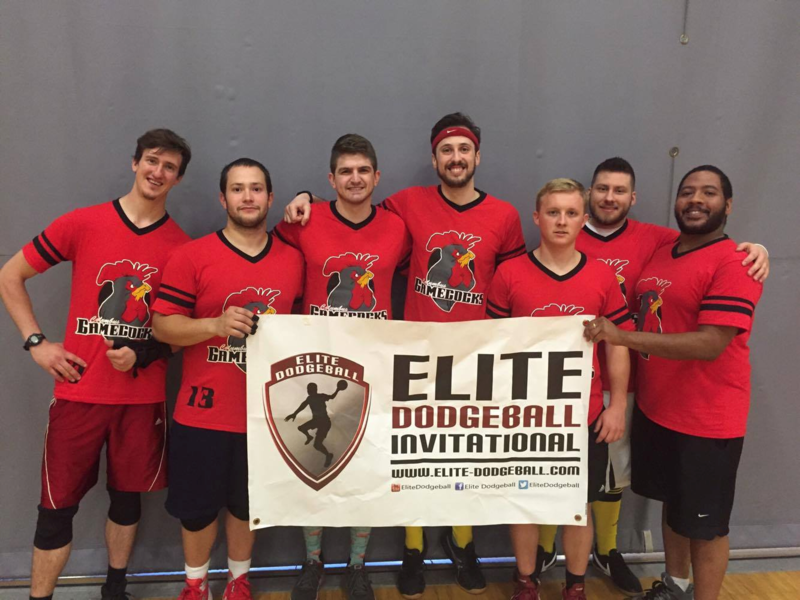 Dodgeball doesn’t have to end when you receive your diploma, there are many opportunities to continue playing, or help those who are still playing. Don’t let your passion/involvement die off when you put on that cap and gown. This sport, this organization, and my teammates have all had inconceivable effects on the way my life turned out. Take away dodgeball and my story would have been vastly different. I would not be working for Nationwide Children’s Hospital, I would not be engaged to the love of my life, I would not have moved to Columbus, I would not have a Master’s degree, I would not have gotten to work with some of my favorite bands, I would not have excelled in college as much, I would not have traveled to eleven different states playing a sport I’m actually decent at with some of my best friends in the world, and I would have had to find another way to break me out of my lonely, unconfident shell. My advice to those who are playing, did play, or are thinking about playing: Enjoy your time and take advantage of every opportunity that comes your way; you never know what will happen. Great piece. Looking forward to working with you mate. 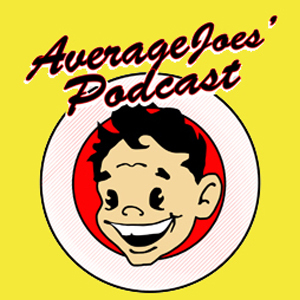 Previous Previous post: How can we take advantage of social media for Nationals?